The first thing that you must keep in mind when considering any kind of kitchen designs for your home should be the space constraint. Most modern and contemporary homes these days have very restricted or limited space. This can pose a potential problem. But thankfully there are designs called modular kitchens and sensible hacking that can create more space. 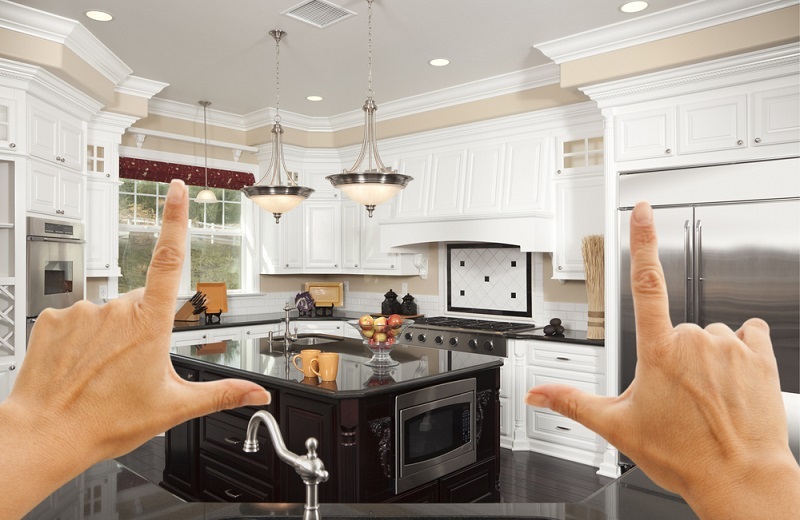 Once you are done evaluating the layout of your kitchen here’s what you can do. Think of creating more depth and space in what you have. There are some options like built in cupboards, overhead storage, making more space for movability since a home kitchen does tend to get crowded. If you have a bigger kitchen area, then you can consider kitchen designs where you can also have a counter top and provision for your kids or family meals in the kitchen. This would be advisable to avoid clustering the dining room and keeping it for formal affairs. Make use of the smaller boxes and hacks to create space. Think of ideas like hanging towels instead of folding them. Store items as per their usage and need rather than by their size. 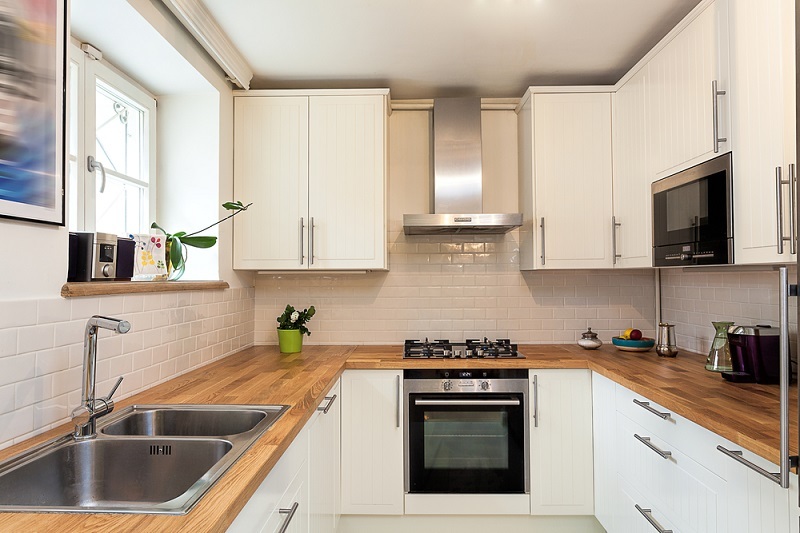 Another aspect is definitely your budget because no matter how big or small your kitchen is, all of the kitchen designs should meet your budget constraints. In this reference, think about a layout that would include everything that suits your budget. This ranges from the tiles on the floor to the granite on the countertop. It would also include the utensils and paint job in the kitchen. 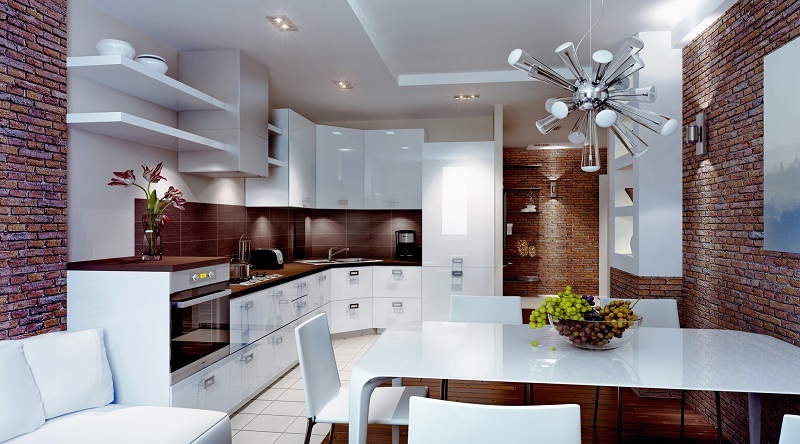 So sit with your layout and create a budget for each of these individual areas of your kitchen designs. This way you have a clearer and more precise view about things that you want to do. Beyond this also think about the kind of design that you are looking for in your kitchen. Do you want something that is easy to clean and maintain yet practical or are you the kind who loves the old rustic kitchen look? Based on your ideas for your kitchen designs something can be worked out as per the budget and space Remember that you must evaluate the designs on the basis of functionality too rather than just going by something that offers decorative value. Also, you would need to make a list of the gadgets and devices that would come into play here like your microwave, OTG, refrigerator, etc. The best way to go about this would be seeing some sample kitchens or models that are easily available in malls and other home utility stores. You can check these out and find an array of multiple kitchen designs that fit your home kitchen. The same option is available online and you can also get a mockup sample to suit your kitchen needs. So browse through all these options before going for kitchen remodeling, renovation or a complete design right from scratch.